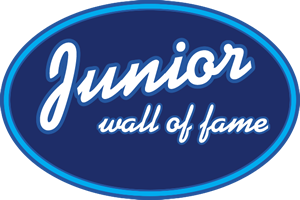 Junior's Walk of Fame star! 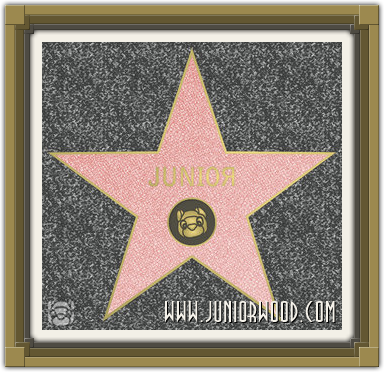 Junior has his own Hollywood Walk of Fame star!!! Mommycat (female secretary) and daddycat (male secretary) have walked the Walk of Fame in Hollywood (California) before, but Junior unfortunately hasn't. Some day he will! And for now Junior has a beautiful star, just like all the other stars. The female secretary, also known as mommycat, has made Junior a beautiful logo, see below!